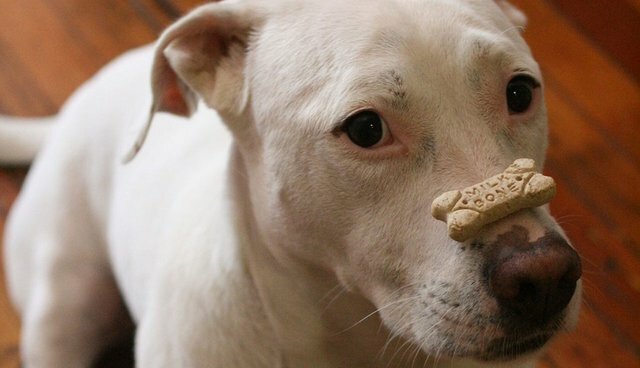 Dogs: Do They Really 'Play Dumb' For Us? Once again, my email inbox this weekend had a number of messages from people asking me what I thought about two recent popular essays, the first called "Dogs Play Dumb for Our Sake" and the second titled "Wolves cooperate but dogs submit, study suggests". The first flashy headline caught my eye because of its sweeping claim and the second because of the most welcomed word, "suggests." The emails I received were unanimously skeptical about the sweeping conclusions drawn by the researchers. I read both essays carefully and wondered, where are the data for the wide-ranging claims? It all seemed a bit too fast for me (and for the people who wrote to me) because the sample sizes are small, not many different breeds were studied, I don't see that the dogs who were studied were then assessed in terms of how they actually interacted with humans to determine if, indeed, they dumb down and their behavior was predictable from how they behaved in the different studies, and the conditions of captivity and backgrounds of the individual dogs could surely influence the results. I also could not find a published peer-reviewed essay of the studies, the results of which were presented at the recent meetings of the Animal Behavior Society in Princeton, New Jersey. Do dogs really wait for orders? Our domestication of wolves, and our own dominant nature, has resulted in dogs that are so submissive that they suppress their independence and intellect, new research finds. Dogs wait for orders, while wolves cooperate with each other to solve problems, according to the study, which was recently presented at the Animal Behavior Society's meeting at Princeton University. In a sense, we've created submissive mini-me's that mirror our own difficulties in creating egalitarian societies [emphasis mine]. This surely seems over the top, given what these studies actually demonstrate. First, anyone who has spent time with dogs knows that very often they do not wait for orders or even suggestions for what a human wants them to do. Indeed, dogs with whom I've shared my home often did not, and numerous dog trainers spend their time trying to stop dogs from doing things impulsively because they're amped up and ready to go. Furthermore, in fact, much cross-cultural research clearly shows that human societies are far more cooperative and egalitarian than previously expected . We must be very careful about talking about "the dog" or "the wolf"
This brief essay is just a heads-up about two popular essays that are receiving a lot of attention and a call for the detailed data on which they are based. I've always cautioned against species-general claims, because after studying coyotes, other predators, and dogs for decades I really don't who "the coyote" or "the wolf" or "the dog" really is. Surely, with all of the incredible differences among various dog breeds and with astounding and fascinating individual differences to boot in dogs and wolves (and other animals), to claim that dogs play dumb to please us is far too sweeping and premature. Furthermore, and as I wrote above, I don't see that the dogs who were studied were then assessed in terms of how they actually interacted with humans to see if, indeed, they dumb down and their behavior was predictable from how they behaved in the different studies. Without these data, in addition to the reasons above, we really can't say that dogs dumb down to please us. And, I'm sure not all do. And, to add to "the mess," we should not conclude that dogs today behaved as did their ancestors who were on the way to becoming dogs, nor that their relationships with humans resembled what they are today (see also Mark Derr's "How the Dog Became the Dog"). Evolutionary biologists have always cautioned against the assumption that the past was like the present, and so should those writing about the domestication of dogs. Do dogs really obey when we tell them something? suspect that the relationship between dogs and humans is hierarchical, with humans as top dogs, rather than cooperative, as in wolf packs. The notion of "dog-human cooperation" needs to be reconsidered, Range said, as well as "the hypotheses that domestication enhanced dogs" cooperative abilities. Instead, "our ancestors bred dogs for obedience and dependency. It's not about having a common goal," Range said. "It's about being with us, but without conflict. We tell them something, and they obey." Do dogs really obey when we tell them something? Hardly. If they did, thousands of dog trainers - I like to call them dog teachers - would be out of a job. Surely, the relationship between a dog and a human(s) can be very complex and nuanced, and all of the trainers with whom I've spoken note this and this is what makes their job exasperating and challenging. While the studies comparing dogs with wolves surely are interesting, and they do highlight some differences between the few dogs and the wolves who were studied in specific conditions of captivity, the sweeping conclusions that are drawn are too premature for me. There isn't compelling evidence that dogs are dumb-downed wolves, nor that they typically behave this way (see also Mark Derr's book referenced above and Brian Hare and Vanessa Woods' book called The Genius of Dogs: How Dogs Are Smarter than You Think in which they stress that dogs "are not universally dumber than wolves" (p. 60). The studies do, however, open the door for further and more detailed investigations and that's what scientific research is all about. So, let's do the work before concluding that dogs and wolves (and other species, for that matter) do or don't do this or that. I bet there are many surprises in store. And, individual variations in behavior among members of the same species are incredibly interesting. They're not noise in the system, but rather essential to understand.